We began our operation from our house in 1965. A few years later, with increased business, we built a garage and began filling our 60 acre lot with damaged vehicles. Due to increasing technology, we built a new modern computerized facility in 1994. As one of the largest aftermarket parts distributor in eastern Canada, we expanded by adding a 9,000 square-foot warehouse in 1998. A few years later, the need to expand arose again and another couple of storage buildings were added. We are a family owned and operated business which employs between 20 to 23 full-time employees year round. 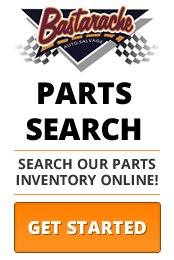 All our used parts come with a 6 months warranty, while aftermarket parts are guaranteed for 1 year. Customer satisfaction is our number one concern: If you're happy, We're happy !! We accept Visa, Mastercard, American Express, Debit cards and business cheques. Our hours of operation are from 8am to 5pm weekdays and we are closed from 12 until 1pm for lunch.